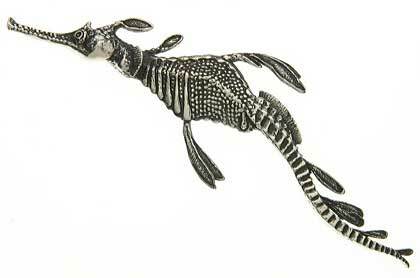 I have brought this item for my mother, for her 60th birthday, as the weedy sea dragon is her favourite animal. I was more than pleased with my purchase, the detail and beauty of these animals has been captured in Ruth’s design. Thank you. I know I have made the right decision in purchasing this item for such a special occasion. I organised for my workplace to give this brooch as a retirement present to an employee who had been with us for 28 years. It was the perfect gift: Australian, precious, and beautiful (like her). She absolutely loves the brooch which just gets more beautiful with time (like her). I understand that everytime she wears it people compliment it. This brooch is simply beautiful to look and and lovely to wear. I recommend it to you as something that you will wear over and over again, especially if you like these special creatures.